Off to South Yarmouth for a weekend of sun, sand and seafood. 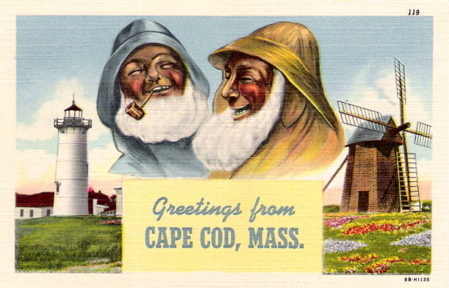 Also hoping the salty gents on this Cape Cod postcard are somewhere to be found. They're quite the hotties!